There are so many historical lodges around the world I’ll be spending the rest of my life visiting them! I previously posted a blog with a list of seven lodges that are a must to visit for any Freemason, on this post I’ve only posted six – all on my own personal list. However, I’m going to leave it to the reader to suggest a seventh lodge – it could be your own lodge or a lodge of historical importance. I’ll leave it up to you – please leave a comment below and state why your particular lodge could be added to the list – just for a bit of fun. QC Lodge as it is commonly referred to, was established in 1884 and consecrated two years later, is the premier Masonic research lodge, not just in England but in the world, and includes such illustrious members as John Belton, Art De Hoyos and Richard Gan. The lodge’s founders include R.F. Gould and Sir Charles Warren, and has had such renowned visitors as Arthur Edward Waite, and the annual transactions are celebrated the world over for the academic and peer reviewed papers on Masonic research. The lodge meets in United Grand Lodge in London and has a correspondence circle that includes thousands of members worldwide. 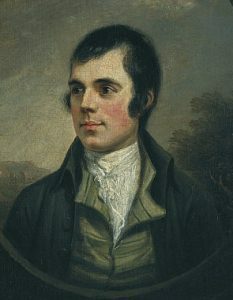 Robert Burns by Alexander Nasmyth. This Edinburgh based lodge is one of the oldest lodges in Scotland, and is one of the most historical, the poet Robert Burns being a member. Just for this reason alone it is classed as an important historical lodge, but the lodge can also be traced back to the seventeenth century. The lodge still meets in the Chapel of St. John – an early eighteenth century chapel – and has boasted a number of Scottish Grand Masters as members through the centuries such as William St. Clair of Roslin (Rosslyn). This Warrington based lodge was founded in 1765, and has included such illustrious members as Scientist Johann Reinhold Forster, a Fellow of the Royal Society who accompanied Captain Cook on his second voyage, industrialist Sir Gilbert Greenall and William Williams who became a Grand Master of the rebel Wigan Grand Lodge in the 19th century. As a lodge that recently celebrated 250 years, it has its own ritual and still uses furniture from the 18th century. It meets at Warrington Masonic Hall and comes under the West Lancashire Province. The York Lodge was founded in 1777, and its early members included brethren from the Modern, Antient and York Grand Lodges. Its early name was ‘Union’ and it’s easy to see why. Illustrious members included local historian John Browne, and the lodge inherited the archive from the York Grand Lodge in the early 19th century. The lodge still meets in Duncombe Place in York and is well worth a visit. The lodge uses what is termed as the York Working as its ritual. Meeting in Runcorn in Cheshire, this lodge was consecrated in 1859 and is one of the friendliest lodges I’ve visited. It first met in a Masonic Hall in Runcorn that has since become a pub called the Masonic, and the lodge now meets in a Hall set in the suburbs of Runcorn. Illustrious visitors include Lord De Tabley, and the lodge has a Victorian quaintness about it, using old lodge furniture, the hall having many historical curiosities. Constituted in 1757 and is the oldest lodge under the Grand Lodge of the State of New York, and is the keeper of the George Washington Bible which, according to the website, is still in active use by the lodge. 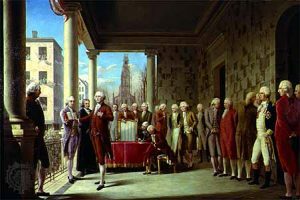 The Bible was used at the swearing of allegiance to the Constitution by President-Elect George Washington in 1789, which took place in New York. Since then, the Bible has been used by President Harding in 1921, President Eisenhower in 1953, President Carter in 1977, President Bush Sr in 1989 and was to be used by George W Bush in 2001 but rain stopped its use. The lodge history is certainly entwined with the history of the United States.